Welcome to the Tweed Guild of Weavers, Spinners and Dyers. The aim of the Guild is to promote, preserve and encourage the practice associated with the craftsmanship of spinning, weaving and dyeing through workshops, demonstrations, guest speakers and the sharing of knowledge and skills between members within our own Guild and also through interaction with other Guilds. 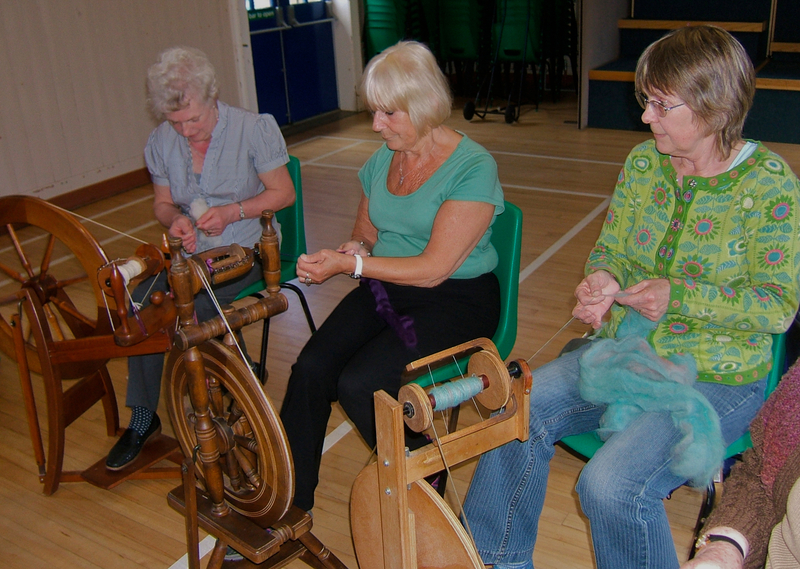 We usually meet every fourth Saturday at Bowden Village Hall in the Scottish Borders, find out more on the About page. Check our Calendar page for our exact meeting dates. Hello, I just wanted to let your members know that we had had some more of the Harrris Tweed cones and spindles donated to the shop in Galashiels .I know a lot of ladies have been in and purchased some and said to let them know if we received any more.